– Old cars are in use for many years before their owners decide to sell them. There are high chances that the used cars have many problems that hinder their performance. The most common problems that can occur are damages from accidents or natural disasters, missing parts, non-functioning parts, etc. People usually overlook such faults thinking that they can repair them. However, over time one may observe that the car require frequent servicing and it ends up costing the buyer much more than a new car. – When a vehicle becomes old, various problems begin to emerge. 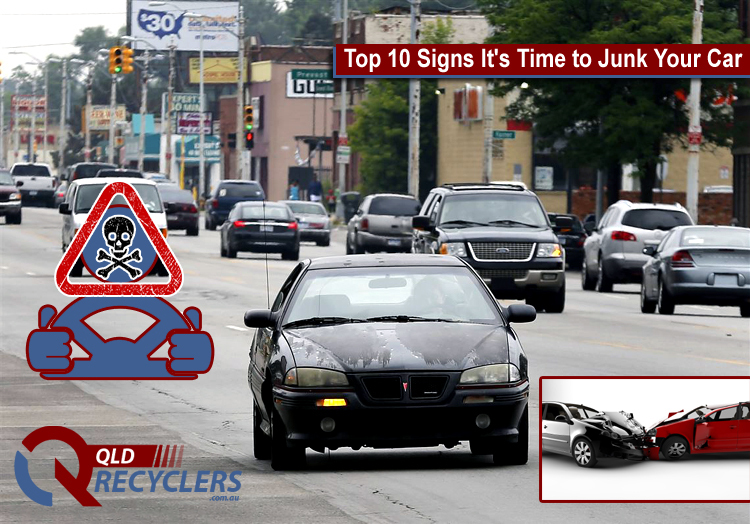 Junk cars may also exhibit cases of loose wiring, leaking fuel tanks or overheated mechanisms. All these are capable of causing a fire. It merely requires a single spark to set the entire vehicle on fire. It may also lead to loss of life and serious injury to the driver or passengers. – One of the main features that a person checks before purchasing a car is the mileage that it offers. In other words, it is a measurement of fuel efficiency. A vehicle is better if it can travel a more significant distance using a lesser quantity of fuel. In the case of junk cars, fuel consumption is much higher as the parts are old and require more lubrication and resources to function normally. As a result, those who buy junk cars spend a lot of money on fuel. – The rapidly increasing pollution around the world urges everyone to limit pollution in their small way to preserve the Earth. Different states have different laws relating to emission by cars. If a person buys a junk car that emits a lot of pollutants, he/she can be fined heavily. Therefore it is essential to check whether the old car has passed emission tests before moving forward to purchase it. – Buying a car is a luxury that people look forward to. Junk cars often have torn seats, and the vehicle shows various types of damage. The body of the car along with the windows and the windscreen can be in bad condition. Such cars do not provide the necessary comfort that an individual may be looking for in a vehicle. – Brakes are a crucial part of the entire mechanism in the car. The brakes help to control the car and come in handy to prevent accidents from occurring. Junk cars are usually older than others, and they have the rear axle or drum brakes instead of the modern brakes assist system. Thus, it takes longer for older cars to stop than new vehicles, which may lead to many accidents. – There has been an increase in the safety features that are present in modern cars. The addition of airbags, knee bags, etc. that ensure the safety of the passengers in current day cars cannot be expected in junk cars. Lower safety measures mean higher chances of injury. – car Time and constant use will show its effect on even cars with maximum maintenance. The car parts may get rusted and create difficulty in working. – The rust along with the heat from the vehicle may result in the formation of carbon monoxide gas. This gas is poisonous, and there have been many cases of people dying due to such situations. – Imagine driving through an unknown location and your car suddenly decides not to restart. You may also get stranded at deserted places that may pose a significant threat. To avoid such dangers purchase old cars from well-known firms that deal with such vehicles. You will get professional feedback, and there are lower chances of suffering from any difficulties related to the vehicle. and tagged on February 8, 2019.